Renovated and ready for new owners! 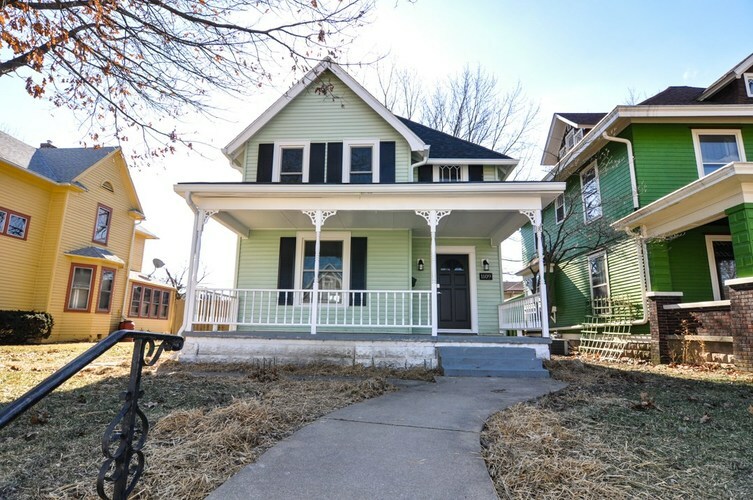 This home had all the character and charm but none of the upgrades. Now it has both. In 1920, this home started out as a 3 bedroom 1 bath but is now a 3 bedroom 2.5 bath - with a master ensuite bathroom. This home comes with arched walkways, open floor plan and original trim. A back deck makes this home easy to entertain at and the 2 car garage off the alley allows for quick and accessible parking. Energy efficient windows and a dual climate zone configuration provides comfort at the highest level. Upgraded with brand new Samsung stainless steel appliances, Quartz countertops, new cabinets, light fixtures, paint, electrical, plumbing and on and on. Located close to downtown Lafayette, it's an easy walk to shops and restaurants or travel across the bridge 5 min. to Purdue University. Directions:South on S. 9th St., turn E. on Kossuth St., home is 2 block ahead past the intersection of S. 11th and Kossuth St.